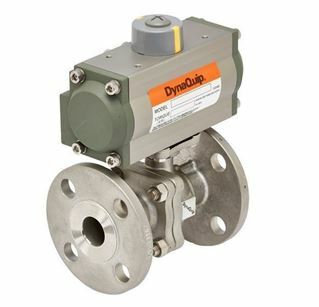 The P2S DynaMatic Series of high-cycling pneumatically actuated stainless steel valves are engineered and manufactured to handle severe service applications, yet are economical enough for everyday general chemical flow control. 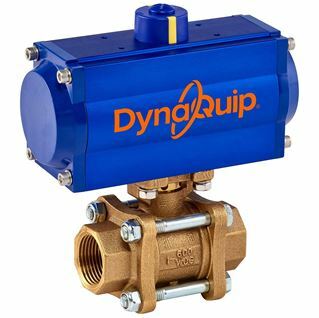 DynaQuip’s pioneering direct mount valve design is compact and eliminates the need for brackets which reduces side-loading or other misalignment concerns. These pneumatically automated valves are available with double acting or spring return (specify fail-open or fail-close action). Additional actuator accessories include NEMA 4, 7 or 9 Pilot Solenoid Valves (115 VAC, 220 VAC, 24 VAC, 24 VDC, and 12 VDC voltages), Valve Position Limit Switches and Speed Controls. All models are pre-sized for clean water, air, or light oil applications. Contact us for severe service or special actuator options. The P2C DynaMatic Series of high-cycling pneumatically actuated carbon steel valves offers an economical and rugged option for oil and agricultural automated applications using hydraulic or petrochemical medias. Two-piece design is available in FNPT and offers flexibility and advanced maintenance options to increase the economic life of your equipment. These automated valves are available with double acting or spring return (specific fail-open or fail-close action). Additional actuators include NEMA 4, 7 or 9 Pilot Solenoid Valves (115 VAC, 220 VAC, 24 VAC, 24 VDC, and 12 VDC voltages), Valve Position Limit Switches and Speed Controls. All models are pre-sized for clean water, air, or light oil applications. Contact us for severe service or special actuator options. The PHH DynaMatic Series of high-cycling pneumatically actuated brass valves offer an excellent option for automated applications where economical, yet rugged forged brass is required. 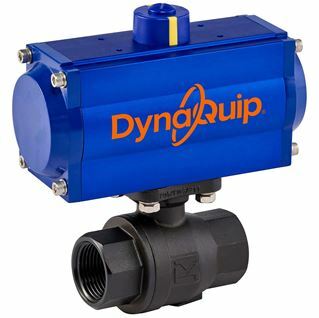 DynaQuip’s pioneering direct mount valve design is compact and eliminates the need for brackets which reduces side-loading or other misalignment concerns. The P3S DynaMatic Series of high-cycling pneumatically actuated stainless steel valves are perfect for food and beverage, general chemical, or severe service applications. Three-piece design is available in FNPT and offers flexibility and advanced maintenance options to increase the economic life of your equipment. 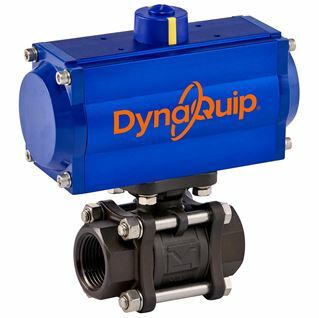 DynaQuip’s pioneering direct mount valve design is compact and eliminates the need for brackets which reduces side-loading or other misalignment concerns. The P3C DynaMatic Series of high-cycling pneumatically actuated carbon steel valves offers an economical and rugged option for oil and agricultural automated applications using hydraulic or petrochemical medias. Three-piece design is available in FNPT and offers flexibility and advanced maintenance options to increase the economic life of your equipment. These automated valves are available with double acting or spring return (specific fail-open or fail-close action). Additional actuators include NEMA 4, 7 or 9 Pilot Solenoid Valves (115 VAC, 220 VAC, 24 VAC, 24 VDC, and 12 VDC voltages), Valve Position Limit Switches and Speed Controls. All models are pre-sized for clean water, air, or light oil applications. Contact us for severe service or special actuator options. The PVA DynaMatic Series of high-cycling pneumatically actuated bronze valves offers an excellent option for automated applications where economical yet corrosion resistant bronze is required. Three-piece design is available in FNPT and offers flexibility and advanced maintenance options to increase the economic life of your equipment. 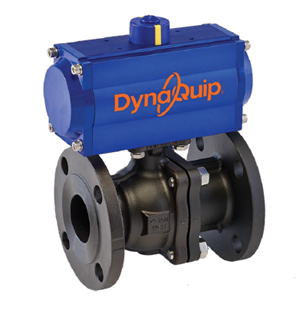 DynaQuip’s pioneering direct mount valve design is compact and eliminates the need for brackets which reduces side-loading or other misalignment concerns. The PYSA DynaMatic Series of high-cycling pneumatically actuated brass valves offer an excellent option for automated diverter applications are engineered and manufactured to handle severe service applications, yet are economical enough for everyday general chemical flow control. 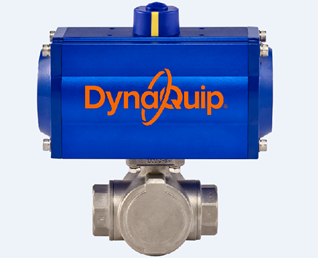 DynaQuip’s pioneering direct mount valve design is compact and eliminates the need for brackets which reduces side-loading or other misalignment concerns. The PYSG DynaMatic Series of high-cycling pneumatically actuated brass valves offer an excellent option for automated diverter applications are engineered and manufactured to handle severe service applications, yet are economical enough for everyday general chemical flow control. 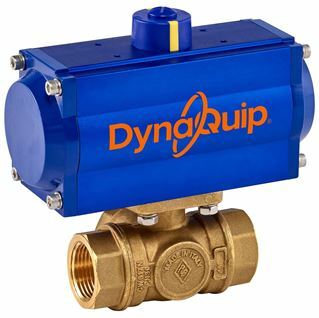 DynaQuip’s pioneering direct mount valve design is compact and eliminates the need for brackets which reduces side-loading or other misalignment concerns. 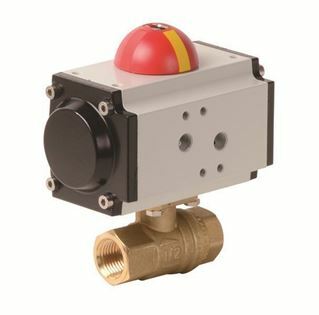 The PYHG DynaMatic Series of high-cycling pneumatically actuated brass valves offer an excellent option for automated diverter applications requiring rugged, yet economical brass. 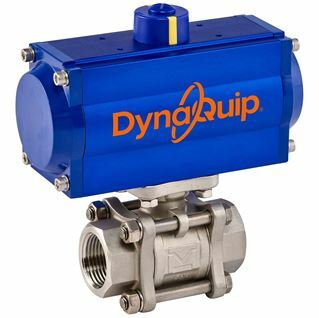 DynaQuip’s pioneering direct mount valve design is compact and eliminates the need for brackets which reduces side-loading or other misalignment concerns. The P5S DynaMatic Series of high-cycling pneumatically actuated flanged stainless steel valves are engineered and manufactured to handle severe service applications, yet are economical enough for everyday general chemical flow control. 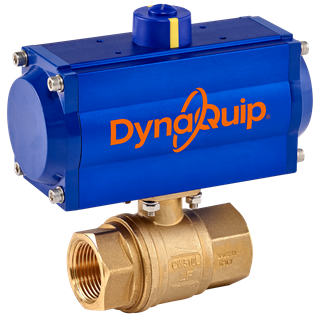 DynaQuip’s pioneering direct mount valve design is compact and eliminates the need for brackets which reduces side-loading or other misalignment concerns. The P5C DynaMatic Series of high-cycling pneumatically actuated flanged carbon steel valves are engineered and manufactured to handle severe service applications, yet are economical enough for everyday general chemical flow control. 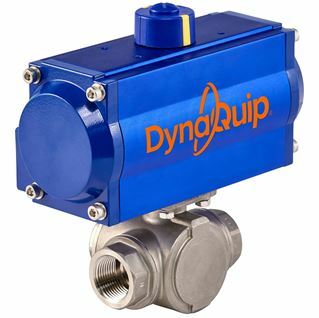 DynaQuip’s pioneering direct mount valve design is compact and eliminates the need for brackets which reduces side-loading or other misalignment concerns. 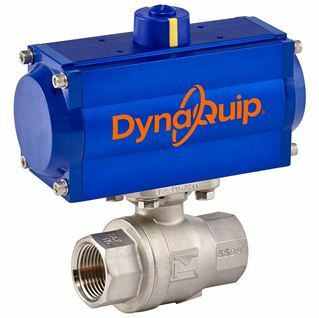 The following DynaQuip valve assemblies have been retired. Please click on a series on the next page to view archived data and find current replacement information.